Ulla Johansson is assistant professor in the Department of Education, University of Umeå. She is studying gender and secondary education in Sweden, 1927-40. Johansson, Ulla. 1994. “Order in the (Middle) Class! Culture, Class, and Gender In the Swedish State Grammar School, 1850-1914”. 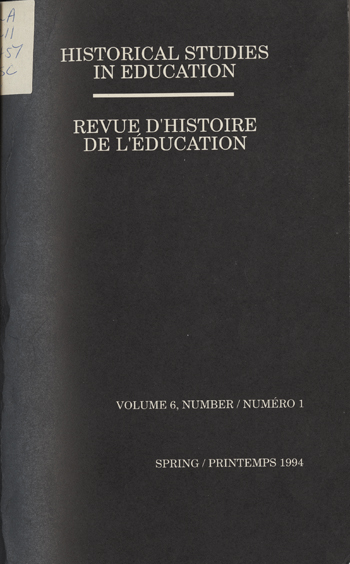 Historical Studies in Education / Revue D’histoire De L’éducation 6 (1), 21-44. https://historicalstudiesineducation.ca/index.php/edu_hse-rhe/article/view/1148.